Your station contract calls for a cupola? Those things can throw the balance off of your rocket during launch. Slap this balanced, strutted and lighted sub-assembly on your station and blast off! 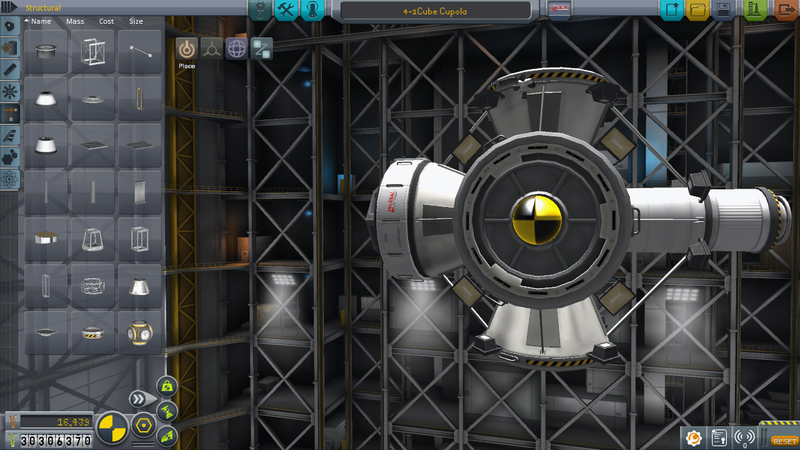 A stock subassembly called 4-1Cube Cupola. Built with 50 of the finest parts, its root part is cupola.